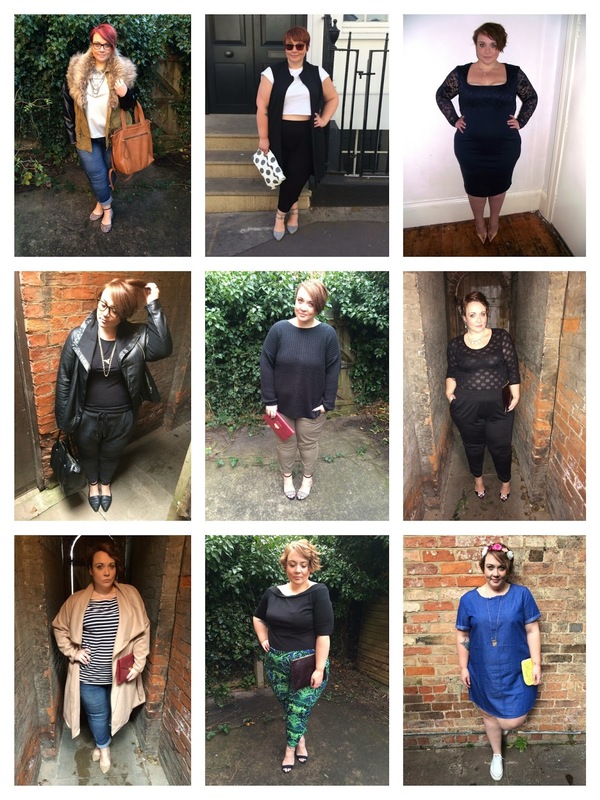 Opinion: My Plus Size Position. Well it's been a somewhat tumultuous week in fatty land hasn't it? Tuesday evening saw the airing of the much anticipated Plus Sized Wars, a documentary about the ever evolving plus size fashion industry. I was sadly travelling home from London at the time so missed it, but I'm hoping to watch it at some point this week if I can drag myself away from uni work/blog/mummy/housework stuff. But from what I've heard it really was a triumph, and thank goodness! All too often plus size women are massively misrepresented in these kind of shows, so I'm over the moon that everyone came across well. Of course there was the usual fair share of idiot mouthing off on social media, but from what I could tell with my patchy signal on the train, twitter was relatively kind. And then look what happened... Oh Jamelia, silly, silly Jamelia. For those of you who don't know. Jamelia used to be a singer, and after fading into obscurity, she went on to make a career out of being, well, for want of a better phrase, a gobshite for hire. Which is all good and well, until one day, this day, she overstepped the mark and made some truly shameful comments on a TV show called "Loose Women" (yes, I know, groan). Now firstly, I strongly suspect that each of the panel members on this show is given a perspective which they have to adhere to, regardless of wether it's actually their personal opinion, I think they are paid to be obnoxious and inflammatory in order to push the conversations forward on the show and make for "good" television. This aside, and in no way excusing Jamelia, what she said was truly hurtful, uneducated and ignorant. She said that so-called extremes of sizes of clothing (anything below a 6 and above a 20) should not be available on the high street, because "they" should be made to feel uncomfortable. As you can imagine, the plus size community especially was outraged. Firstly, it just shows how ignorant she is, because let's face it, anyone over a size 20 knows that it is already incredibly difficult to get clothes on the high street, and you betcha we feel pretty uncomfortable most places we go. Oh Jamelia, I can tell you right now, from the age of 6, as soon as I started school, I have been shamed for being fat. From school kids in the playground to my parents who put me on a diet aged 9. As a teenager I was constantly reminded by fellow pupils at school of how fat I was, boys would tell me how they couldn't possibly go out with me because I was too fat or on the flip side, I was sexually assaulted and told I should appreciate it because I wasn't going to get it elsewhere because I was so fat. Then as an adult I have had things thrown at me whilst walking down the street, I have had abuse hurled at me whilst sitting in restaurants, I have had my food choices openly judged by complete strangers and when I have tried to access even the most basic of health care I have been fat shamed by medical professionals. And guess what? I'm still fat. None of these degrading, devastating experiences have had any impact on my ability to lose weight. The thing is, these aren't just my experiences these are the experiences of a million other women. These are the things fat women are subjected to on a daily basis. So when some two-bit, vacuous, rent-a-mouth turns around and wants to take our clothing choices away from us, wants to strip us of such a simple pleasure as fashion, well she better be ready for an uprising. And that my friends is just what she got. Oh look, it's one to those fat birds, and shock horror, she's dressed nice! Debz, from The Not So Secret Diary of a Wannabe Princess came up with the most wonderful initiative. If Jamelia thinks that "they" don't deserve fashion, well "they" will damn well show her we do. 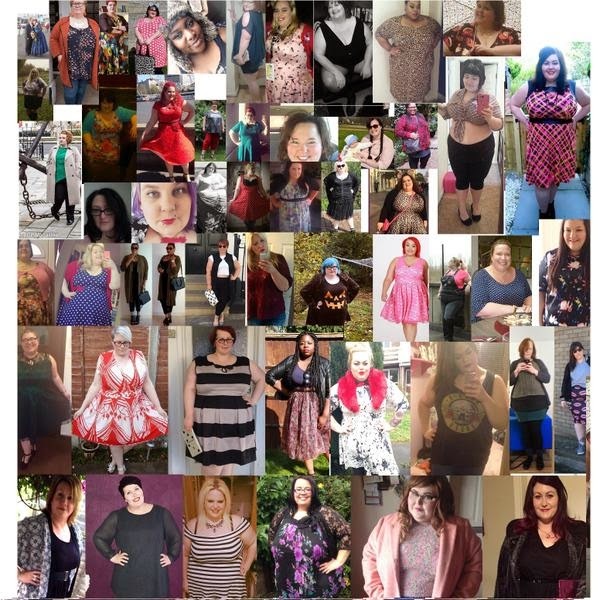 And so was born #WeAreTheThey - 1000s of women, standing up not just to Jamelia, but to every person who has told us no, who has made us feel any thing less than worthy of everything in life. Check out the hashtag, and see all kinds of wonderful, a veritable smorgasbord of vibrant, fashionable, intelligent, incredible women show the world that we will not be shamed. My size 22/24 body deserves fashion. Your body deserves fashion. ALL bodies deserve fashion. Couldn't agree more, she's heading down a slippery, Katie Hopkins looking slope! Good comment. In my opinion at size 22 you are hardly as you describe yourself 'fat'. You're just a couple of notches above average size, as evidenced from all your photos. I think you deserve to a bit more body positive about yourself. It's intended as a constructive compliment, not as a criticism. Hi David, thanks for your comment, I appreciate it. For me, fat is not a negative word, it's merely a descriptor. I have fat on my body and that's absolutely fine. I'm a proud fat woman. Well said honey - some people need to think before they speak! Jamelia is being interviewed all over the place justifying "her opinions" but when you listen to her she actually has nothing to back it up. She backtracks.stutters and contradicts herself constantly. The biggest contradiction being that she is part of the team on Good Morning Britain helping with their Self-Esteem Campaign!!!! I think after this she should defo be removed from that campaign. I agree, for her to be part of anything to do with self esteem after that comment she deserves to step down. Fab post. Couldn't quite believe what I was hearing when she made this ridiculous comments but like you I suspect a lot of it is contrived just to get people outraged and talking. Regardless, it's a massively low blow and so ignorant. Suggesting 'punishing' people for being a certain size by making it hard for them to access nice clothes is just crazy and I'm glad she's having to justify her comments (although badly). Next time she really needs to think it through before she opens her trap. Loose Women is utter tosh at the best of times but they've really outdone themselves this time. I agree....Loose Women...who actually watches that? Thank you. It does wonders for the soul to see others sharing what's going on in my thoughts. I'm not alone! Thank you.